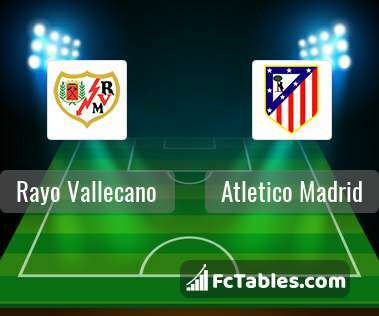 The match Rayo Vallecano-Atletico Madrid La Liga will start today 15:15. Referee in the match will be Jesus Gil. Team Rayo Vallecano is in the releagtion zone of the table. 18 position. In 5 last matches (league + cup) team gain 7 points. Rayo Vallecano from 2 matches can not beat any rival. Players Rayo Vallecano in La Liga with the highest number of goals: Raul de Tomas 9 goals, Adrian Embarba 3 goals, Alvaro Garcia 3 goals. Players , Adrian Embarba 2 assists will have to be very well guarded by defenders Atletico Madrid, because they have the most assists. Team Atletico Madrid is at the top place in the table (3 place). In 5 last matches (league + cup) team gain 9 points. 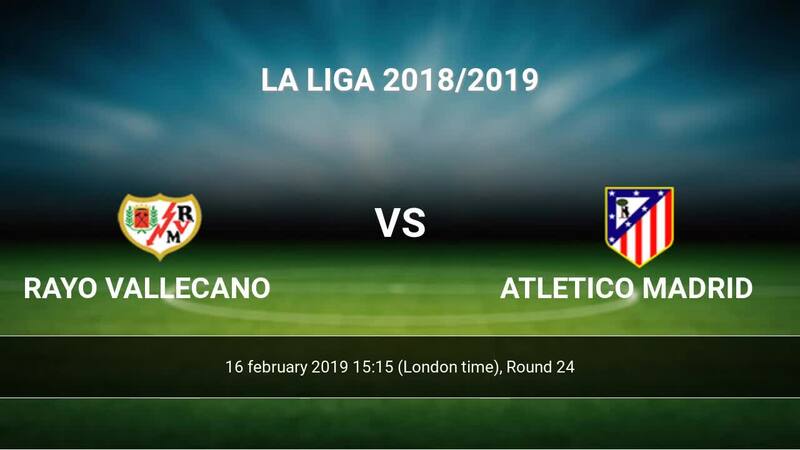 Atletico Madrid did not win the match from 2 games. The most goals in La Liga for Atletico Madrid scored: Antoine Griezmann 11 goals, Thomas 2 goals, Angel Correa 2 goals. Players with the most assists: Antoine Griezmann 7 assists, Thomas 3 assists, Angel Correa 2 assists. In Atletico Madrid not occur in the match due to injury: Lucas Hernandez. Thomas. They will not be able to play in the game due to suspension. Direct matches: Atletico Madrid won more direct matches. 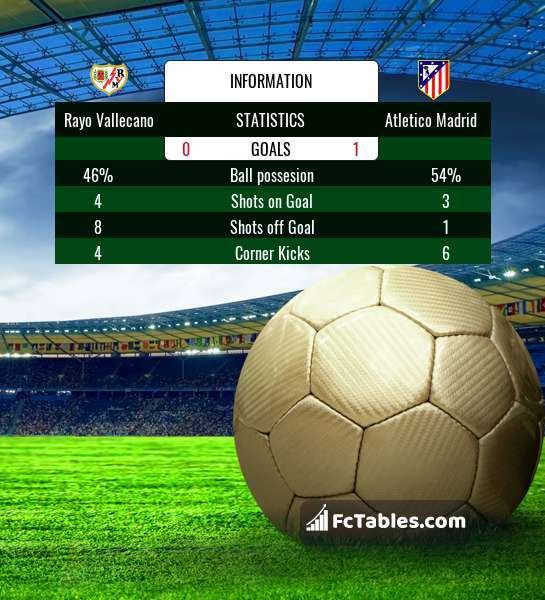 Rayo Vallecano won 3 matches , Atletico Madrid won 13 direct matches, was a 7 draws. In 11 matches the sum of the goals both teams was greater than 2.5 (Over 2.5), and 17 matches teams scored more than 1.5 goals (Over 1.5). In 11 matches the both teams scored a least one goal (Both teams to score).